Situated in a glorious woodland meadow, deep in the heart of Cropton Forest, Forest Holidays’ luxury self-catering cabins with private hot tubs make an ideal base for adventures, exploring or simply relaxing. The North York Moors are on your cabin doorstep and the coast is only half an hour’s drive away. The forest itself is a paradise for nature lovers and thrill seekers alike, while open-plan cabins provide the perfect family accommodation. Offering simple luxury in a picturesque location, the majority of cabins come complete with private hot tubs on the decking, ready to hop into whatever the weather, day or night. And pet-friendly options mean you can bring the dog too! Escape to a luxury cabin with private hot tub with Forest Holidays and enjoy 10% discount – the perfect getaway for families, couples and friends. Choose from 9 locations across the UK, including 2 on the edge of the North York Moors National Park on stunning Forestry Commission land. You can pack your days with action and adventure, hiring bikes or trying your hand at canoeing, archery or a range of other pre-bookable activities. Or perhaps you prefer to luxuriate with a glass of champagne in your own private hot tub under a starlit sky, soaking up the serenity of the forest around you or enjoying a soothing in-cabin spa treatment. 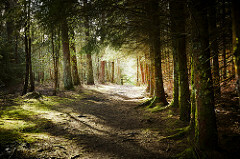 The freedom, the fresh air and the forest are yours to enjoy at your own pace, whatever the season. And our pet friendly cabins mean you can bring your dog too! 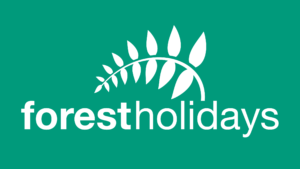 Enter MUMBLER18 to save 10% at www.forestholidays.co.uk or call 03330 110495 and quote this code when you book by 28th February 2018 and holiday by 31st December 2018. See the Offers page for T & C’s.